You’ll be unlikely to have heard anything about this third post because it’s foreign. Last week, France published an ambitious and wide-ranging biodiversity plan. Unveiled by France’s minister for ecological transition, Nicolas Hulot, it contains many measures to be taken over the next four years concerning pollination, plastics, pesticides and much more. As far as I can see, none of the main ‘quality’ newspapers has covered this in the UK. I wanted to find more about the plan, having heard about it on France Inter radio before it came out. So I phoned the press office at the French Ministry of Ecology (Ministere de la Transition Ecologique et Solidaire). Did they produce a press release on this in English, I asked? “No. We only translate press releases that are international in subject matter”, they replied. Fortunately, I am Francophone. However, what about companies, environmental NGOs and policy makers in neighbouring countries like the UK, Germany and elsewhere? Don’t they need to read it? 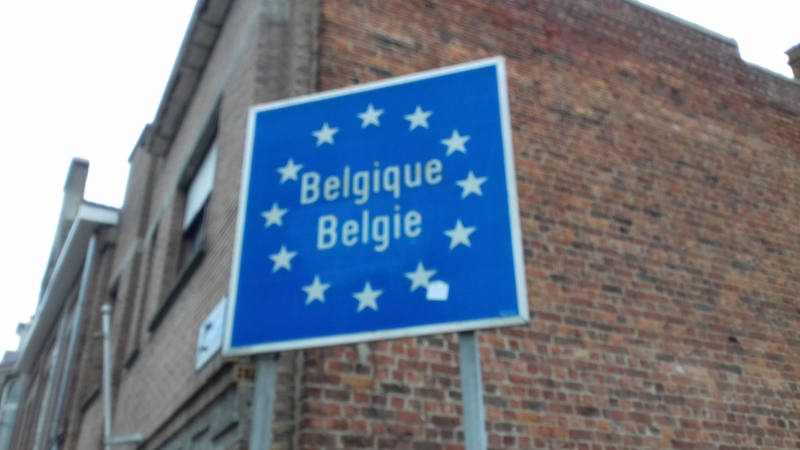 Don’t French ecosystems influence at least the conditions in neighbouring countries, Belgium? Spain and Italy? This language barrier doesn’t just relate to biodiversity policy, which crosses borders by its very nature. It affects many, many activities in France and Francophone Africa. They don’t want to tell us, and we don’t want to know. This deficit in public information weakens international cooperation. Here’s my first story about a blank. As you might have guessed from the picture below, it concerns fish. There are obvious blanks about fish, like we don’t know how many there are; they are more difficult to count than land animals. But that’s for another day. This blank is about a brand many on this forum will know well. They’ll probably think it’s a household name. I certainly heard of it at least ten years ago when I discovered for the first time the pleasure of eating cod, plaice and haddock. Honestly, it tasted delicious for a simple reason – I knew it had been caught sustainably. Suddenly, the fish counted. Now here’s the blank. That fish had been supplied through the Marine Stewardship Council (MSC), the sustainable fishery organisation using a blue fish symbol on packs available in most supermarket chains. As it’s so successful, you’d think the brand would be well known by now. But no. Listening to that antiquated quiz show, Brain of Britain, on BBC Radio 4 a few weeks ago, I was surprised to learn that not one of the four contestants in the semi-final had ever heard of the MSC. What does that suggest? That we’re wriggling around in our own little siloes. If none of those eggheads are aware of the logo, maybe sustainable food suppliers need to swim further away from their usual streams. About: Blank covers risk and the unknown – the concern of anyone working in the field of information/communication. Either raising the unknown into public view. Or colouring in the fields between us: the ignorance we don’t acknowledge to others, the ignorance we don’t know they have, the ignorance we think they have, and the knowledge they think we have. About: Blank is about exploring misunderstandings, assumptions and discoveries. Because misunderstanding, flawed assumptions and some new discoveries create risk. And a major communication objective has to be to reveal that risk. Look out for my first story about a blank in a few days. The picture above provides a clue.